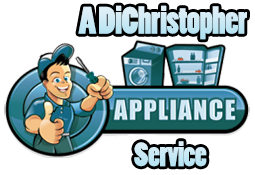 Don and Alison DiChristopher have built a solid reputation since 1992 as one of Tampa’s most trusted Appliance Repair Companies. They are an Angie’ List Super Service Award Winner Since 2004! 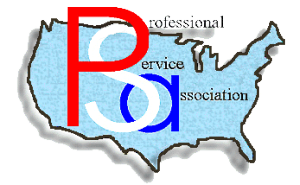 They are committed to providing quality service to the community. They believe that a reputation as an honest and reliable business is the recipe for success. While others seek to profit by cutting corners or recommending unnecessary services to customers, Don and Alison believe that a good reputation and consistent service will reap bigger profits in the long run. By being trustworthy Don and Alison believe they will enjoy a long term profitable business that serves the community. Affordable rates! We can compete with any other appliance service rates out there. We provide personal service and exceptional quality. All of our appliance repair services are 100% guaranteed. Competitive prices and overall value are why our loyal customers won't go anywhere else. 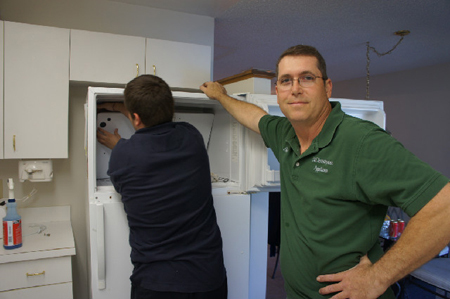 Our technicians, Don and Anthony (father and son) look forward to helping you with all of your appliance repair needs. We repair most appliance brands. GE, Whirlpool, Kenmore, Maytag, Frigidaire and many more. Thats Music To Your Ears! We focus on quality. We guarantee our work and our products. We do not sell parts. Never a Service charge with Appliance Repair. Same Day Service (in most cases). Lower Rates than GE, Whirlpool, Frigidaire, Maytag and Sears Factory Service and many others. We use only new, factory replacement parts. We have fully stocked trucks so in most cases we can repair your appliance the first trip out. Our technicians are available 6 days a week from 7 a.m. until 6 p.m. unless emergency services are needed. © 2019 A Dichristopher Appliance Repair. All Rights Reserved.